It is with great pleasure that we announce Gilbert and Sullivan Opera Victoria’s 2019 Season and hope that you can join us for this exciting year as we present Engaged, Die Fledermaus, Cox & Box and HMS Pinafore. We have had enormous fun and success with our 2018 productions of Gold & Silver Operetta, The Mikado and Eileen. We cannot wait to get started on the upcoming season. We’re excited to introduce our new GSOV Season 2019 Subscription Packages, they represent the best value for money, saving you over 10% with tickets to all 3 shows. 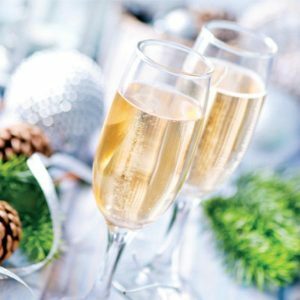 Add a little joy into the life of someone special with a subscription to our delightful season. To find out more contact our Ticket Secretary on 0490 465 009. Enjoy a summer soirée at Sassafras, with a hilarious comedy about the everlasting perils of love, marriage and money. Cheviot Hill is the central figure of the piece – who is continually falling in love at the drop of a hat. His romantic inconstancy is of intense pecuniary interest to two other men: Belvawney, who receives £1,000 a year as long as Cheviot remains unmarried; and Mr. Symperson, who shall receive £1,000 a year once Cheviot is either wed or dead. This hilarious farce was the inspiration for Oscar Wilde’s “The Importance of Being Earnest”. It is equally witty, clever, and great fun. It will be performed in the garden, and the living room at The Knowe in Sassafras, next summer. 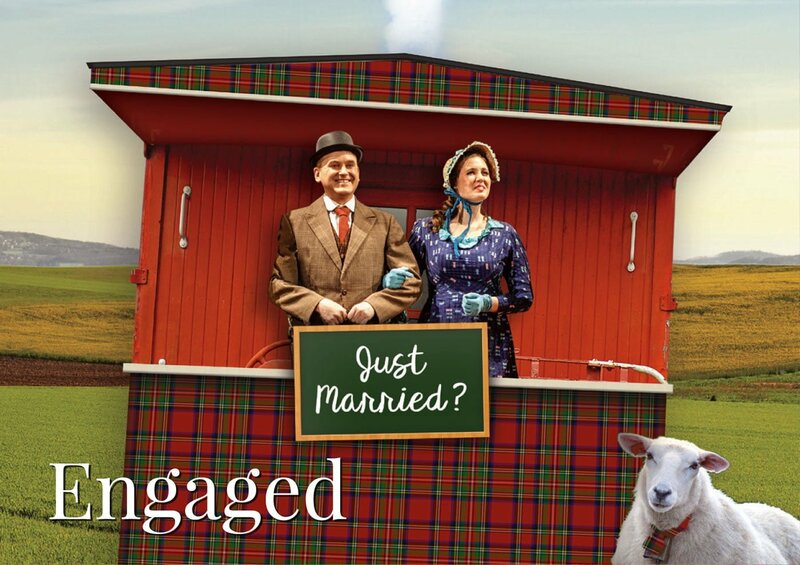 These become the Scottish border and a London salon in this gorgeously funny production, directed by Diana Burleigh, internationally recognised authority on the works of Gilbert & Sullivan. 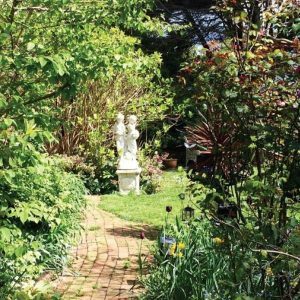 Come, enjoy a walk in the garden with a glass of bubbles before the play. But please hurry and subscribe, as seating in the house and garden is very limited. Glorious music, wonderful singing, and a charming and witty libretto, this joyful work of genius is sure to be one of the highlights of the Melbourne opera going year in 2019! Composed by the Waltz King, Johann Strauss Junior, Die Fledermaus is perhaps the ultimate operetta. 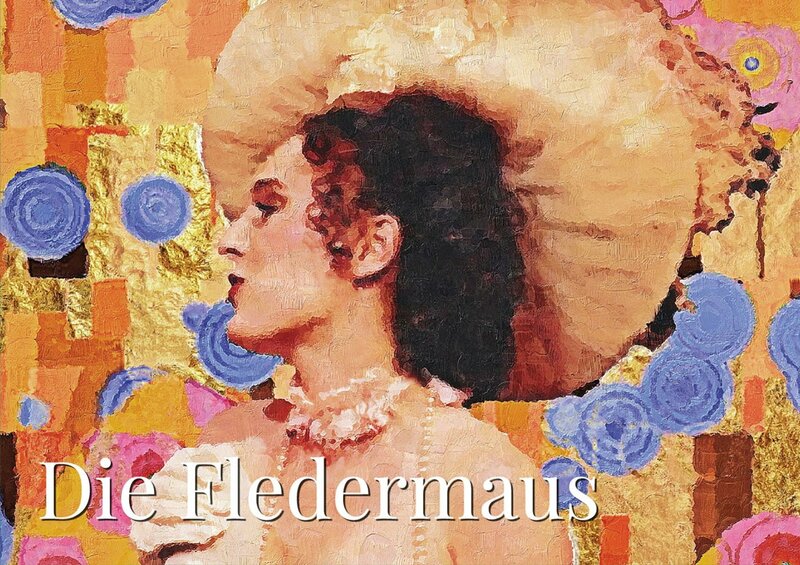 Die Fledermaus is a story about revenge, infidelity, disguises, imprisonment and waltzes! And, oh, what waltzes! von Eisenstein’s wife, Rosalinda. However, Dr Falke has also invited Rosalinda, who still thinks her husband will be in jail, to come disguised as an Hungarian Countess. Falke’s aim is to enjoy von Eisenstein’s embarrassment, and the fun really begins when they all turn up at Prince Orlovsky’s party in Act II, including the Eisensteins;’ maid Adele, who has borrowed Rosalinda’s best dress. Inevitably, too much champagne is consumed resulting in a hilarious mixture of disguises and wrongdoings. However, all ends happily without serious incident. Gilbert & Sullivan Opera Victoria will present a sparkling new production by leading Australian Director and Choreographer Robert Ray, with Musical Direction by Alan Cook. Presented as a double-bill “Cox & Box” and “HMS Pinafore”. This frivolous yet charming tale, full of musical humour and sparkling tunes is a cheerful romp. 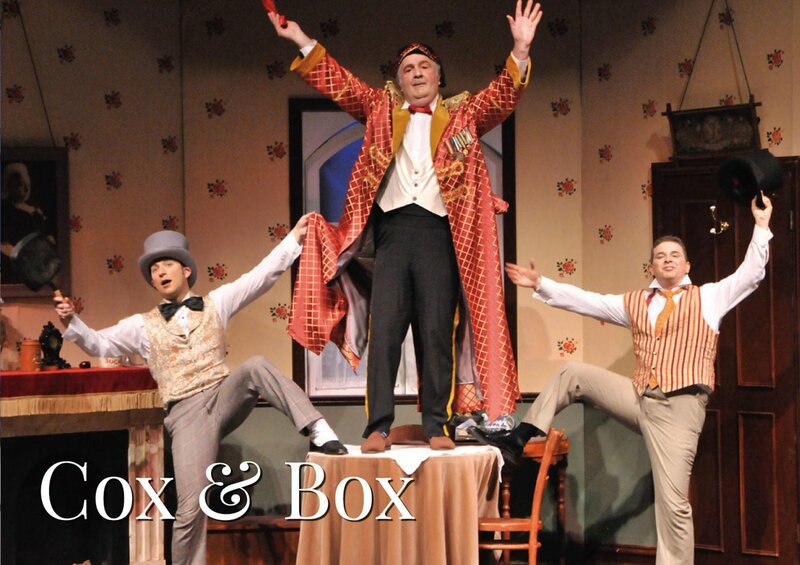 Before Sullivan met Gilbert he composed a delicious one act farce, Cox & Box with humorist F.C. Burnand. First performed privately in a men’s club, its popularity climbed and was the only work, not written by both Gilbert & Sullivan to be continually performed by the fabled D’Oyly Carte Opera Company, through its long history. Sergeant Bouncer is renting a room to Mr Box, a printer who works at night, and to Mr Cox, a hatter who works by day. Neither know of each other’s existence, until one day Mr Cox is awarded a holiday. Returning home Mr Cox is horrified to find Mr Box asleep in his bed! Much hilarity follows as Sergeant Bouncer tries to sort out the mess. Sullivan provides a preview to the masterpieces he would later write with Gilbert. This is a gem of a mini-opera, and will bring much amusement and delight in this new production. 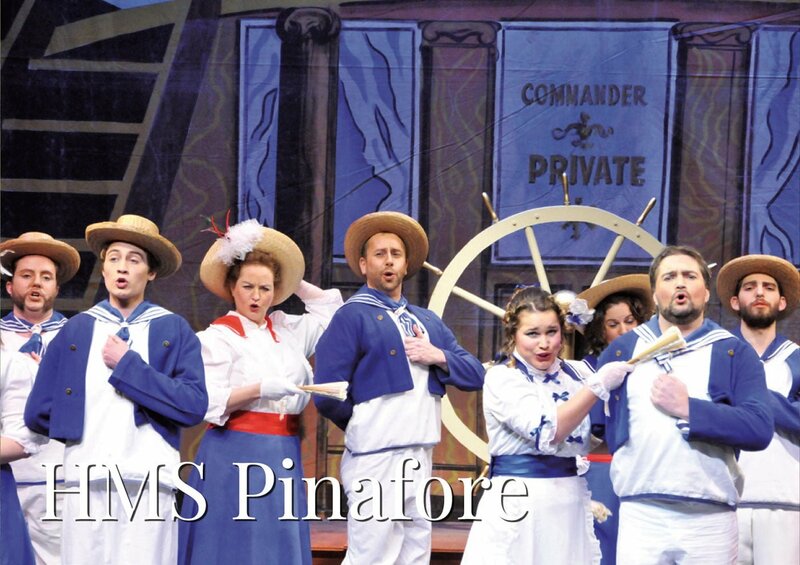 HMS Pinafore with Cox & Box Direction by Daniel Sinfield, Musical Direction by Joshua Geddes. Delight in this timeless classic – Gilbert’s raucous satire on rank and privilege, set to some of the saltiest, jauntiest and joyful nautical music ever written, by Arthur Sullivan. H.M.S Pinafore was Gilbert & Sullivan’s first international success. It has sailed the musical seas since 1878, and has never, no never, and not even hardly ever fallen from popularity. The Captain’s daughter Josephine, is in love with the common sailor, Ralph Rackstraw. However, her father plans to marry her off to the unbearable but wealthy First Sea Lord, Sir Joseph Porter. After some hilarious plot twists, the lovers win through in the end. This comic opera is an ideal introduction to children, and young persons, of the joys of classical musical theatre. 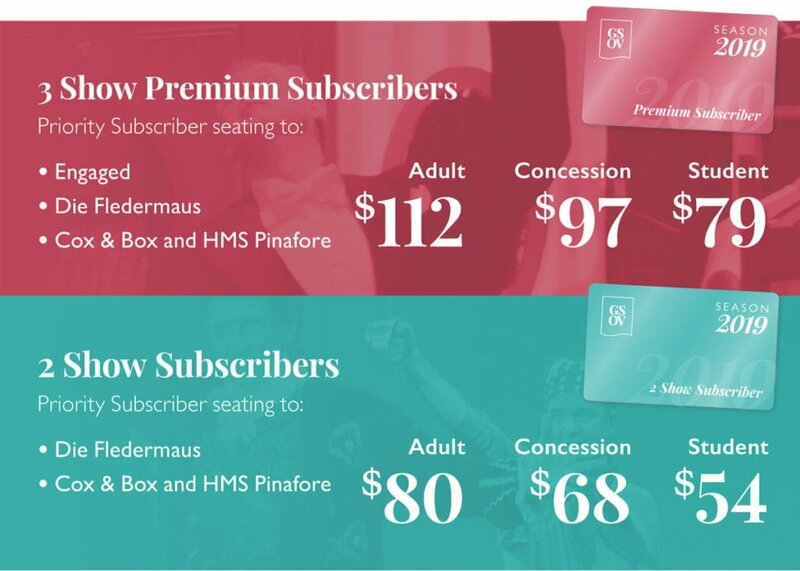 GSOV Season 2019 Subscription Packages represent the best value for money, saving you over 10% with tickets to all 3 shows starting from $79 (Save $17.60). A lot of work goes into creating our shows, which simply would not be possible without our dedicated team of volunteers. We welcome you to get involved and join in this rewarding theatrical experience, whether it be in the spotlight, behind the scenes as part of our crew or through sponsorships. The Gilbert & Sullivan Society of Victoria Inc. is a registered Not-for-Profit organisation. All donations over $2 are fully tax deductible in Australia. Find out more information about how you can contribute and support GSOV. ^ Available through the Ticketing Secretary during Subscribers exclusive booking period. * Subject to availability. © Copyright 2017 Gilbert & Sullivan Opera Victoria T/As Gilbert and Sullivan Society of Victoria Inc. All Rights Reserved.